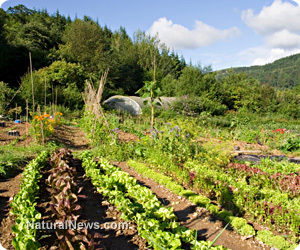 (NaturalNews) The federal government has awarded a $750,000 grant to Washington State University (WSU) in Pullman to investigate the merits of organic farming in eradicating pests without the use of chemicals. Inspired by a survey conducted by researchers at nearby Oregon State University, the research project to be funded with the grant will look at how organic growing methods such as crop rotation, biodiversity and utilizing insects rather than killing them with pesticides can actually help solve the problems that plague conventional agriculture. Heading the project is Bill Snyder, a professor of entomology at WSU, who with the help of his colleagues will analyze DNA collected from both the stomachs of predator bugs and from crops to see how the complex interactions between the two can provide sustainable solutions to the problem of crop pests. Entitled "CSI: Organic," the three-year project will investigate the apparent successes of organic farming to identify the logistics behind how it is both beneficial and preferable to modern, chemical-based agricultural methods. Specifically, Snyder hopes to learn more about the intricacies of predator bugs and how they affect soil health in order to figure out ways that, as an entire system, bugs, crops and soil can co-exist in harmony with one another to keep everything in a proper balance. Diversifying crops, for instance, rather than growing just one type of crop over a large acreage is one way that organic farming helps keep pests in check. "We hope that we learn some really general lessons about how to make pests less of a problem," says Prof. Snyder, as quoted by The Seattle Times, about the endeavor. "I'm glad when I see an aphid on something I get [at the store,] because at least I know it's really organic." Another benefit of organic farming is that the elimination of harmful pesticides from the equation preserves those predator pests that naturally eat crop-destroying pests. Ladybugs, for instance, are often used in integrated organic farming to eat aphids and other crop destroyers. Conventional farming methods that blanket crops in insect-killing poisons, on the other hand, are unable to sustain ladybugs, which means pesticide-resistant bugs will eventually prevail. Female wasps are also beneficial, as they are known to insert their eggs directly into harmful pests like flies and aphids, killing them naturally from the inside out. Though a somewhat disturbing mental image, as the inserted larvae eventually eats its way out of the offending pest to develop into a full-grown wasp, this process represents yet another natural way by which organic farming can take care of destructive pests without chemicals. "People have thought the reason there are so many pests in agriculture is because farms often focus on one crop and use broad pesticides," writes Kristi Pihl for The Seattle Times, quoting Prof. Snyder. "By taking advantage of good insects, farmers can avoid spraying pesticides." The length of time that a farm uses organic growing methods also appears to play a role in its natural effectiveness against invasive pests. According to Prof. Snyder, each year that a farm utilizes organic growing methods is another year in which natural pest-deterring insects are allowed to increase their populations and better protect crops. Snyder and his team will also take a look at how organic farming methods improve soil health, which is the bedrock of a well-functioning agricultural system. By analyzing how things like manure and cover crops affect soil, as well as looking at how plants grown organically develop natural immunity to pests, the team hopes to better solidify the empirical science behind a practice that since time immemorial has provided humanity with sustenance. "Healthy soil equals healthier plants," says Prof. Snyder.